Today your baby boy turns 41. Another birthday celebrated far from home. I hope you get to enjoy a long conversation (via Skype, perhaps? ), see that handsome face and hear that warm, deep, melodious voice we all love. But you loved it well before we did, didn’t you? When you see him in your mind, do you still see that lanky kid with the sweet smile, his out-sized nose often stuck in a book, those big blue eyes reflecting the worlds he traveled to in his vivid imagination? The little boy who drew on chest hairs with a marker, who galloped through the garden playing pretend? While there are people who grow up in terrible circumstances and still manage to become well-adjusted and productive adults, I tend to think, in most instances, that the apple doesn’t fall far from the tree. You and John deserve credit for rearing an amazing human being. You’ve certainly passed on some incredible genetic material, and not just in terms of the staggering degree of handsomeness your son has achieved. There’s all that intelligence and talent to be considered, too. You both deserve credit for taking steps to foster the considerable potential within him. Your willingness to go back to work in order to pay Richard’s school fees at Pattinson College shows your desire to help him fulfill his dreams. Your little boy at 22. It must have been a little difficult to “let him go” at that age, though. And then to see your baby boy take off at age 17 to a foreign country for six weeks to earn his Equity card? It seems you also fostered a sense of independence in your son, along with a strong work ethic. 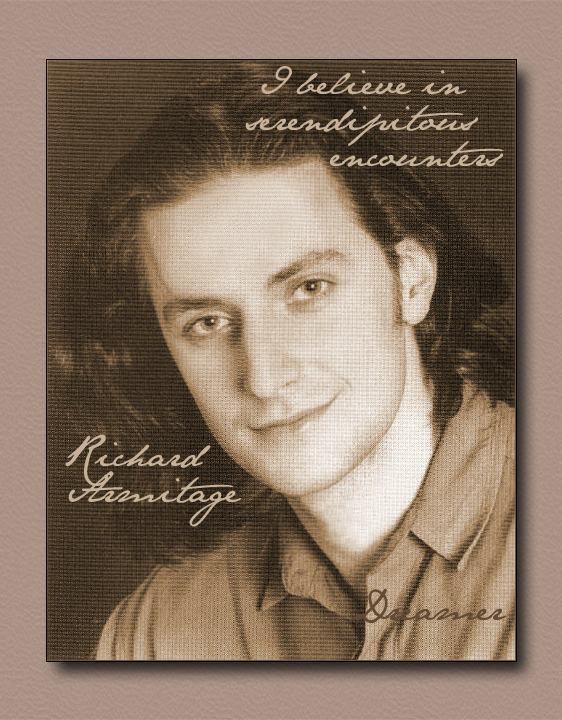 Of course, it is much more than just the staggeringly handsome and tremendously talented fellow he grew up to be that makes Richard such a special human being. There’s that work ethic I mentioned—honestly, we do worry a bit about him burning himself out—and there are those lovely manners of his. You and John really did raise quite a gentleman, you know. Gracious, polite, with a lovely sense of humor that is never mean-spirited in nature. He’s making so many fans on this side of the pond very happy with that sweetness and patience and good-humored nature on full display when meeting supporters who have visited the set of Black Sky. As his star ascends, he may no longer be able to be so accessible. Bless him for being so now. I wonder—did it ever enter your mind just how famous your son might one day become? When you were watching him on stage in those early productions, did you have any inkling he’d one day be on the verge of international movie stardom? Are you still trying to wrap your head around that notion, I wonder? I certainly would be in your place. If I ever met your son, I would want to thank him simply for being—himself. And if I ever met you, I’d want to thank you for bringing such an extraordinary son into the world—and sharing him with us. You did something pretty darned special 41 years ago today. Beautifully written. I am convinced that Mrs. Armitage would really enjoy a cup of tea and a chat with you ANgie. Yes, she certainly did do something quite wonderful on this day in 1971. My mom used to say on each of my birthdays she did something very special on that September day. 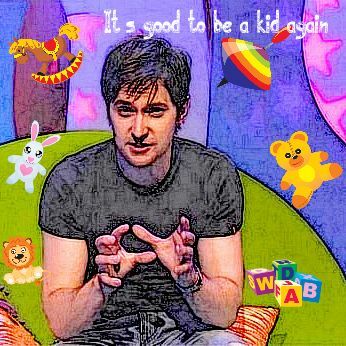 😀 And I can only say Mrs. Armitage most certainly did the same on that August day. A good parent who gives a child both roots and wings is to be commended. And look how her lovely son makes our hearts and spirits soar! Amen. May he always enjoy his parents’ love and they his. A very beautiful letter, Angie! Every word so true. Wonderful letter! I agree with it all! Thanks. He certainly inherited some good stuff from his parents, that is for certain. If there was a “like” button on wordpress, I’d click it now. Thanks for saying what had to be said! And so eloquently! Oh, thank you! How kind. I do dearly wish I could just sit down with his mom for a chat and thank her for the fine son she and her husband reared. I think they must be very fine people, too.